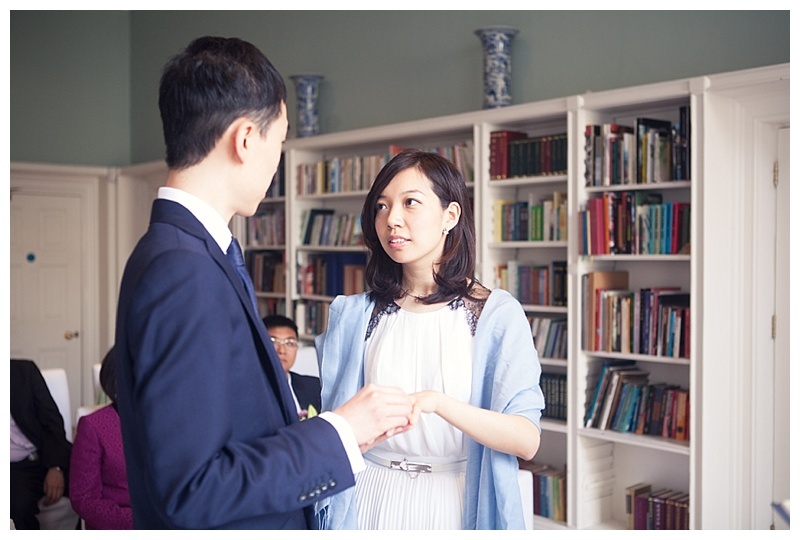 iao and Danfeng choose the beautiful library in Asia House, in Central London for their intimate wedding ceremony, with their closest friends and family. I love how relaxed Danfeng and Xiao were, joining their friends and family before the ceremony, then walking down the aisle together, helping calm each other in the final moments before saying their vows. Xiao looked absolutely stunning, such a delicate, pretty dress with the pleat details, sheer trim hemline and lace detail around the shoulders. The smile of a truly happy birthday boy! Handing over the marriage certificate to the head of the household. 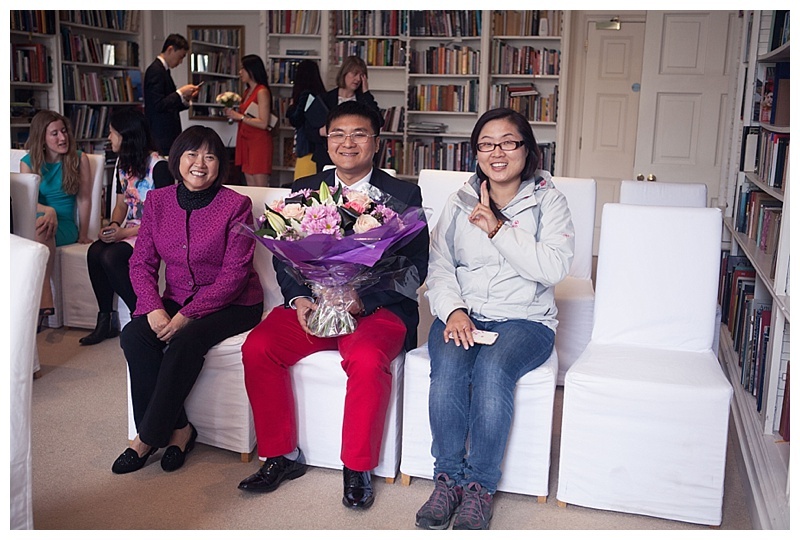 Danfeng's socks gave a subtle nod to the traditional Chinese wedding colour, for happiness, fortune, love and success. 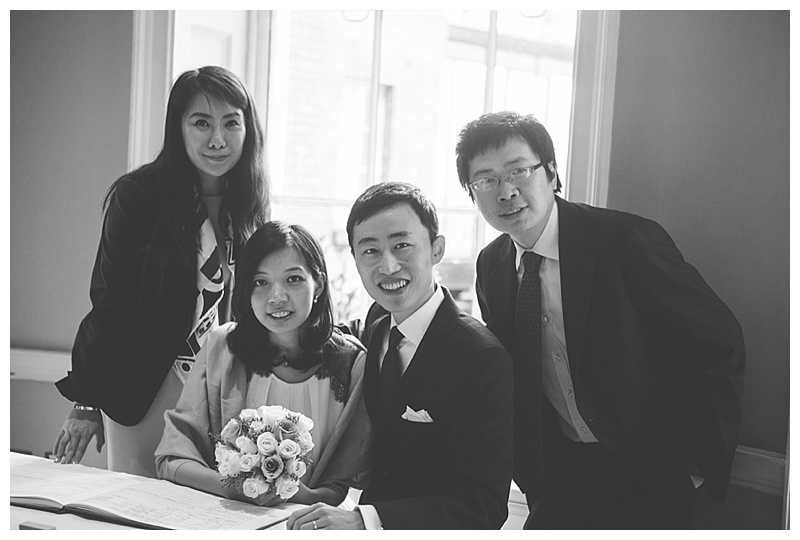 tagged with London Wedding Photographer, London Wedding Photography, London, relaxed, natural, contemporary, stylish, wedding photographer, wedding photography, Weddings By Helen, UK wedding photographer, "Asia House"